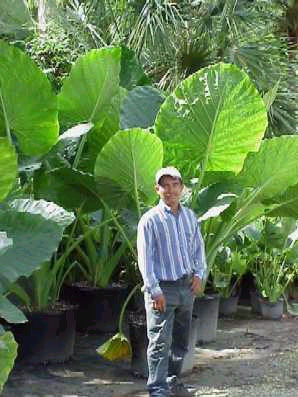 Big TOUGH leaves that get HUGE! 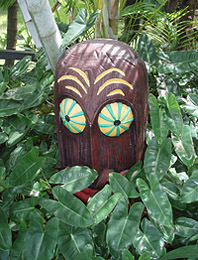 Gives your yard the ULTIMATE JUNGLE LOOK. 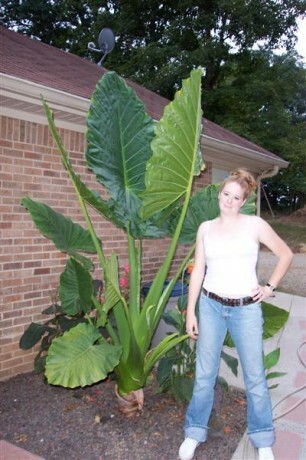 Easy to grow, this special hybrid alocasia has one of the biggest leaves in the world. 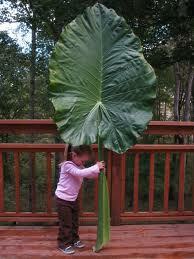 In the tropics they use big alocasia leaves as an umbrella! 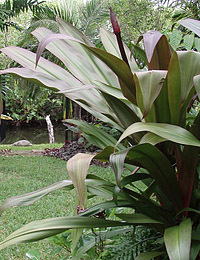 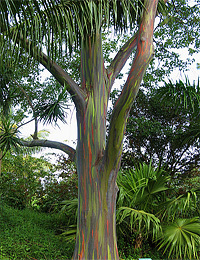 Hybridized from particularly strong growing parents by Lari Ann Garner of Aroidia Research. 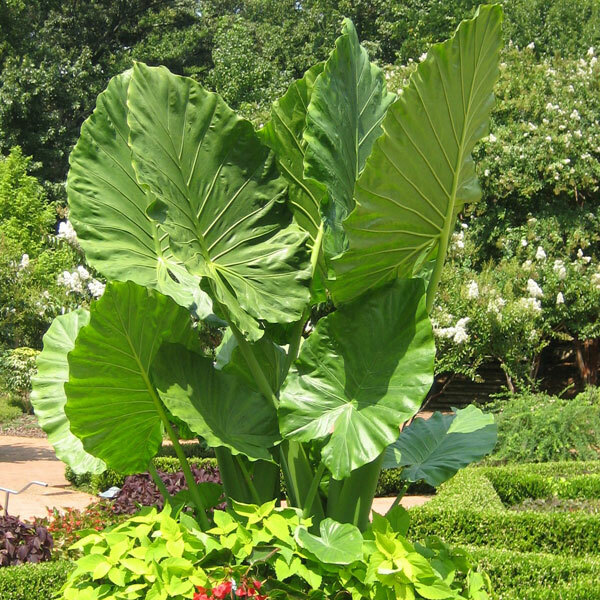 Loves Sun to Part Sun, moist rich organic soil and humidity. 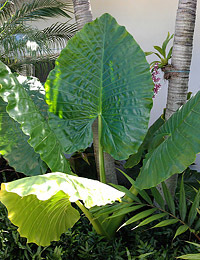 I have grown these to MASSIVE sizes in Melbourne Beach. 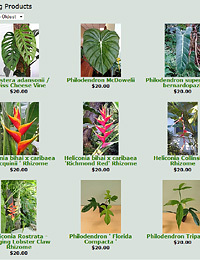 Keep on the dry side over winter to avoid any fungus/rot problems if the weather gets real cold.